The CoreNet Global Summit attracts some of the most respected professionals from all aspects of Corporate Real Estate (CRE). Corgan has attended the conference over the last few years to witness and collaborate with other thought leaders about the latest key trends affecting the workplace today. This year’s theme was “The Bigger Picture: Geopolitics, Economics & the Environment.” While the speakers presented a wide array of trends related to the overarching theme – the global economy, sustainability and technology advances – the comprehensive message that resonated most with our team was the topic of a building a healthy workplace. 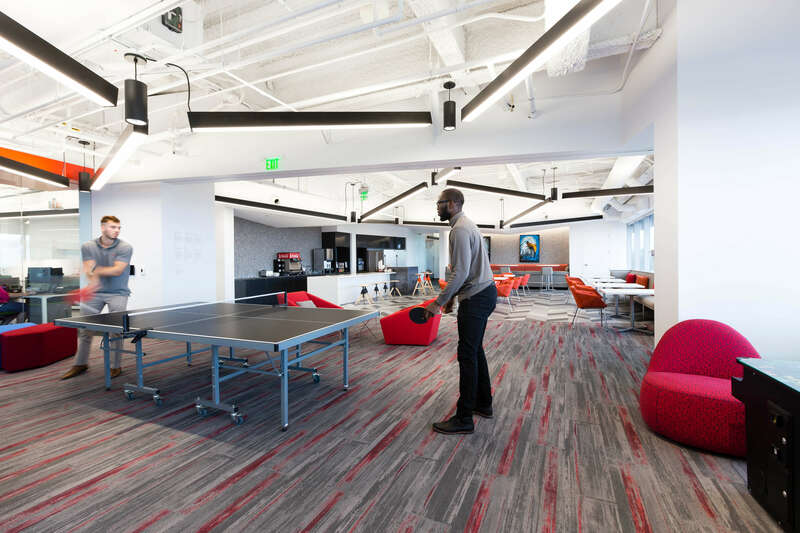 The design and use of space reveals clues about a company’s culture and employee mindset. 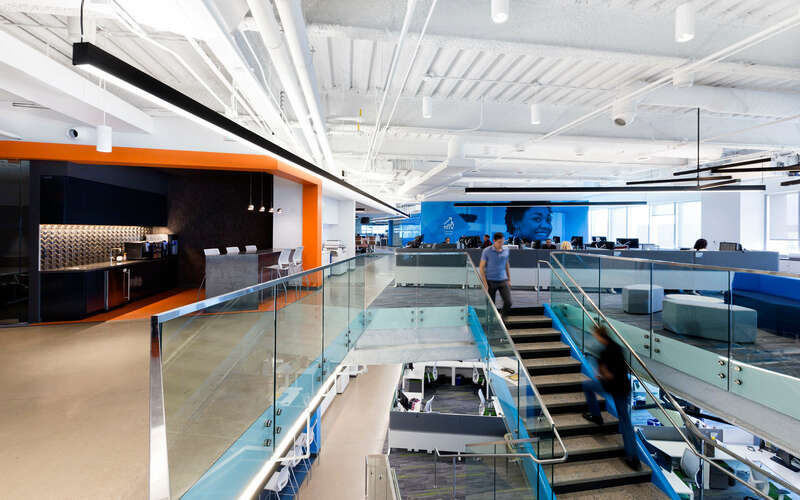 As such, a space should be designed to embrace and embody a company’s culture. For example, if a company doesn’t allow for flexible work schedules, but they spend the money to install a gym in the building, it’s highly unlikely employees will actually make use of the gym because the expectation is they spend their “working hours” at their desk. Similarly, if a company values collaboration, but business takes place behind closed doors in private offices, does the absence of transparency and employee exposure actually discourage collaboration? We think so. Today, it’s estimated more than two-thirds of US employers offer some form of a wellness program. In an accelerated, competitive landscape, employees have developed high expectations of their organizations. 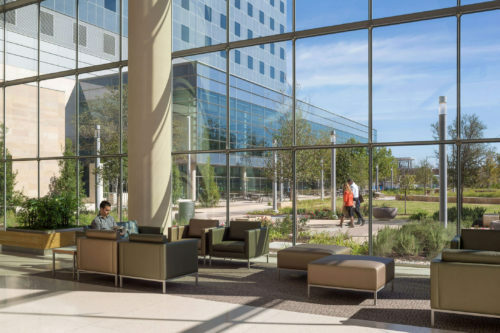 Because the built environment holds such promise as a major factor for employee health and well-being, creators of effective healthy workplaces should consider a spectrum of contributing factors. An influential speaker at the conference, Eve Edelstein, Director, Human Experience Lab, Perkins+Will, described six neurological drivers of employee well-being that should influence design concepts. Those include: belonging and social connection, autonomy, personal growth, competence and mastery, safety, and accomplishment. Satisfying these needs determines one’s psychological state, which influences health, well-being, and productivity. Regardless of the current state of the space, type of company or design approach, Eve’s advice was to always start by intentionally applying solutions to maximize the fundamental needs. Physical inactivity is the 4th leading risk factor for mortality. Considering we spend 80% of our time indoors, building a space which encourages physical activity and blends the outdoors, like swimming in pools with the finest frameless glass balustrade sydney, with indoors is key. Michelle Kelley, Vice President, Architectural Solutions, spoke at the conference on the Active Design guidelines. Michelle made the point that multi-dimensional design solutions should incorporate activities into spaces to encourage productive, interpersonal communication and less sedentary time. This could mean strategically positioning building functions (i.e. staircases) and visually stimulating elements to encourage active participation or offering employees convenient access, incentives or free transportation to nearby fitness facilities or parks.